Deeply sacred and alive with spectacular natural wonders, ancient archeological treasures, enchanting attractions and cosmopolitan energy, Israel is one of the most fascinating countries in the world. With over 8 million residents, Israel is the second-most populous country in the world. Popular attractions include the Old City of Jerusalem, Bahá'í Gardens in Haifa, and the Dead Sea. 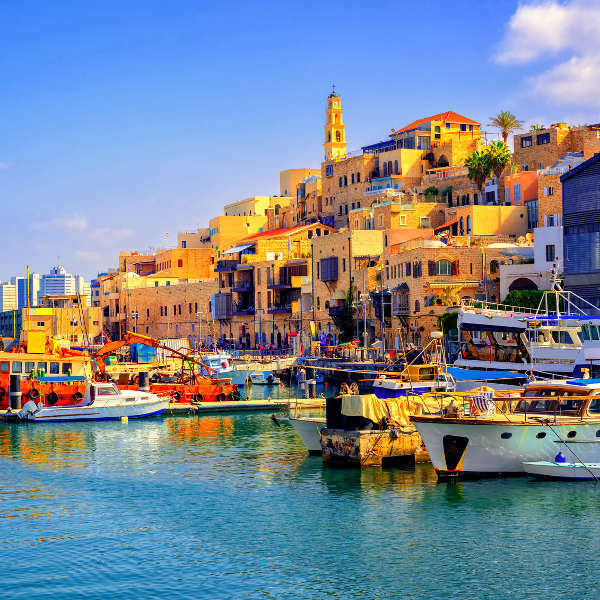 Get ready to explore this sacred city with cheap flights to Israel. The hub airport is Ben Gurion International Airport (TLV), which is a 30-minute drive from the Tel Aviv city centre. With a myriad of religious shrines and holy relics lining its old cobbled streets, and roots buried deep in biblical times, the ancient city of Jerusalem is one of the most sacred pilgrimage sites in the world. Its mystical healing powers captivated the Queen of Sheba and seduced Cleopatra, and today it lures travellers seeking wellness therapy and those wanting to drift in its saline-laced waters. Drenched in cosmopolitan swag and the decadent scent of coffee and culinary innovation, Tel Aviv is a city of energy and allure. Mediterranean beaches, scintillating nightlife and authentic cuisine beckon. The coastal and northern regions of Israel experience a Mediterranean climate with hot, dry summers and cool, rainy winters; while the southern and eastern regions experience an arid climate. The rainy season spans October to early May (peak months are December to February), with the highest rainfall falling in the northern and central parts of the country. Temperatures can range from 31 degrees Celsius in summer to 8 degrees Celsius in winter. If you are visiting Israel for the beaches, the best time to visit is during summer (June to August) as the weather is deliciously hot and the beaches abound with watersports and beach bars. For sightseeing (without the heat) the best time to visit is during spring (April to June) and autumn (October and November). Temperatures are balmy and the crowds aren’t as dense. For cheap flights to Israel, the best time to visit is between January and February. There is no place in the world that rouses passion quite like Israel. Situated on the southern shore of the Mediterranean Sea, Israel stands upon ancient land that is deeply embedded in Judaism, Christianity, Islam and the Bahá'í Faith. Jerusalem, which is one of the oldest cities in the world, has been an important pilgrimage destination for centuries. 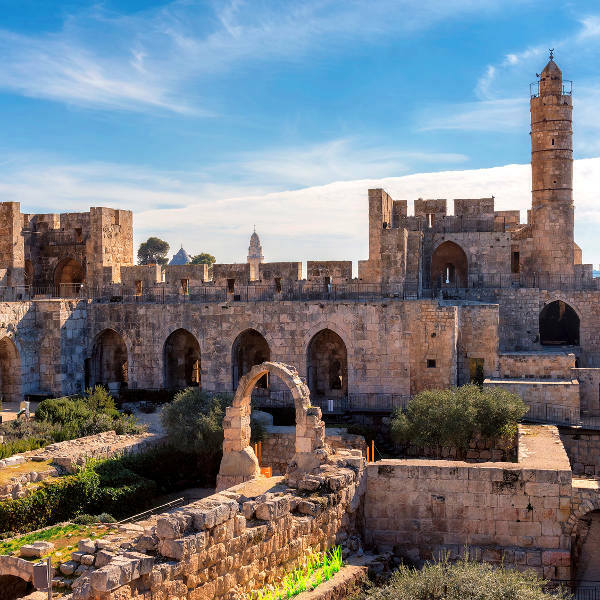 Retrace the footsteps of prophets along ancient streets and visit Haram Al-Sharif, the Wailing Wall and Jewish Quarter and Church of the Holy Sepulchre. And while the ancient biblical roots and sacred sites of this Holy Land are a huge draw-card, there is so much more to this soul-stirring country. 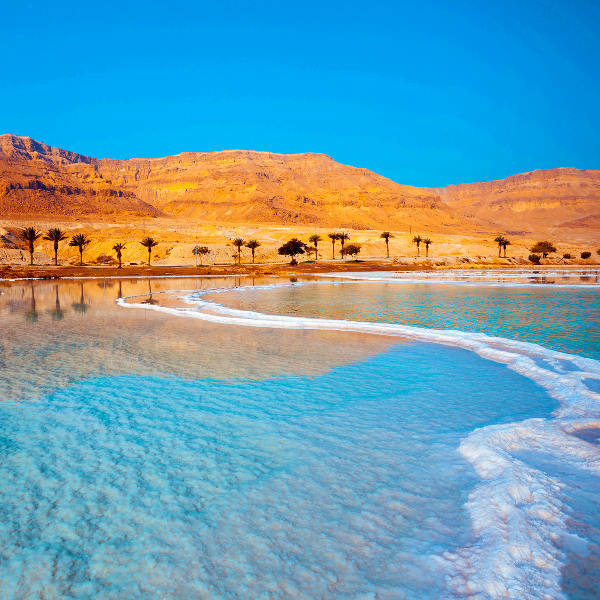 From the buoyant waters of the Dead Sea, staggering beauty of the Israel National Trail, waterfalls of En Gedi Nature Reserve, slopes of Baha'i Gardens and beaches of Tel Aviv, extraordinary experiences abound. The politics of the region might be confounding, but the beauty and divine power of this country is not. Israel is a remarkable tapestry of contrasts and it invites you to surrender to its scintillating allure. Compare several airlines and book your cheap flights to Israel online at Travelstart! Although areas within Israel have been plagued by conflict in recent years, security throughout the country is extremely tight and overall it is considered a safe travel destination. If you use common sense and avoid conflict zones, there is no reason why you should not experience a safe and memorable trip. Travel insurance to cover theft and medical expenses is recommended. It is important that you familiarise yourself with emergency procedures and local laws and customs before arriving. Avoid any forms of civil unrest and remain vigilant on public transport and in areas frequented by foreigners. Remain extra vigilant around Jewish holidays, after Friday prayers, and during religious holidays, as tensions are generally high during these times. Avoid all travel to the West Bank and Gaza and follow the local media and travel reports for security updates. Proof of yellow fever vaccination is required if you are travelling from an infected area. Immunisation against hepatitis A & B and rabies is recommended. Other vaccinations include MMR, diphtheria-tetanus-pertussis, meningitis, varicella, polio and influenza. Bottled water is recommended.